Mountain Journal has often covered the various sustainability initiatives by ski resorts and the snow/ outdoor industries. It has also noted the fact there here in Australia, the resorts and industry have either given up all pretense of even caring about climate change or simply have never done anything on the issue. In theory most resorts at least support the ideas behind the ‘Keep Winter Cool‘ initiative, but when was the last time you saw any of them promote climate change or sustainability measures in their materials? It will be interesting to see if the sale of Perisher Resort in NSW to Vail Resorts will have any impact on the local industry. Vail has at least signed on to some initiatives like “Target 10” aiming for a 10% reduction in energy use. As we get closer to the climate negotiations which will happen in Paris in late November, the stakes keep getting higher. With the current global agreement (the Kyoto Protocol) due to expire shortly, it is essential that world leaders agree on the framework for the agreement which will replace it. We are encouraging children between 4 and 12 years of age to spend more time being active in the outdoors with the Adventure Kids Festival this January here at Hotham. The Adventure Kids offers children, and their parents, the opportunity to experience outdoor adventure activities in a controlled environment, close to traditional community services (such as transport, amenities, etc), in a very easy family-friendly way. The experience will be memorable and hopefully ignite a desire in them to further explore what our many outdoor and wilderness areas have to offer. Over the Australia Day Long Weekend, Saturday 24th to Monday 26th January, Mt Hotham will play host to this exciting festival for Adventure Kids! Camping, Trail Running, Mountain Biking, Orienteering, Fly Fishing, Obstacle Courses, Bush Walking, Abseiling, Bush Art, Damper Cooking, Rock Climbing are some of the activities on offer at the event for kids to get involved in! 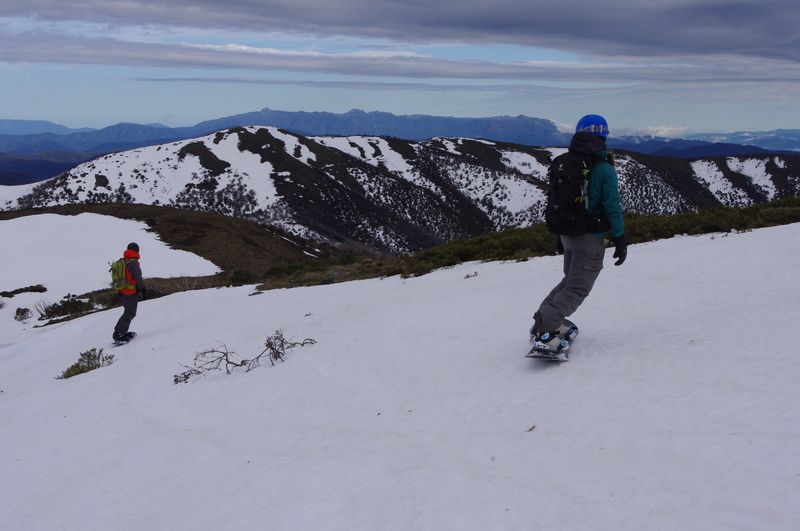 The Mt Hotham Draft Master Plan has been released for public comment until September 12. It maps how the resort management would like to see the ski resort develop in coming years. It proposes the creation of a series of ‘activity hubs’ in different parts of the resort, including a substantial increase in the footprint of infrastructure on the south eastern side of the resort in the snow gum forests that stretch towards the township of Dinner Plain. There are some worrying suggestions in the plan relating to a potential expansion of ski runs and associated infrastructure into three new areas adjacent to the existing resort. All of these (identified as ‘areas to be investigated’) would see destructive development in sensitive alpine environments. This book is a memoir by Gillian Salmon of the remarkable life and times of her father, Lindsay Salmon, who played a key role in the development of Mt Hotham, including the establishment of the Mount Hotham Ski School and the construction of the iconic Drift Chalet. Check here for the full review. Want to build private huts in a national park? Here’s your chance. The Victorian government is currently calling for tenders to design the Falls to Hotham Alpine Crossing Master Plan. The plan will define the level of future developments which will occur along the trail – and associated infrastructure like private developments to allow overnight accommodation. Check here for a background on the recent upgrade of the walk. Walk Victoria’s Icons is a trademark brand comprising a portfolio of four long distance walks located in iconic regions renowned for their outstanding natural landscapes, wildlife and cultural values across Victoria. With a vision to be compelling, world-class, year round sustainable walking experiences, the Great Ocean Walk, Grampians Peaks Trail, Falls to Hotham Alpine Crossing and Coastal Wilderness Walk represent the quintessential nature-based attributes of the State – from dramatic coastlines to rugged mountain peaks, from remote waterways and inlets to alpine and sub-alpine scenery. As four distinct walks the Walk Victoria’s Icons walks are designed to capture discerning high yield experience seekers who have a desire to be immersed in exceptional natural beauty that is supported by high quality products and services. guided 2 day walk of 25km, with potential for 4 days, offers an experience that will be as challenging as it will be rewarding. So far, so good: more people out in the hills…. 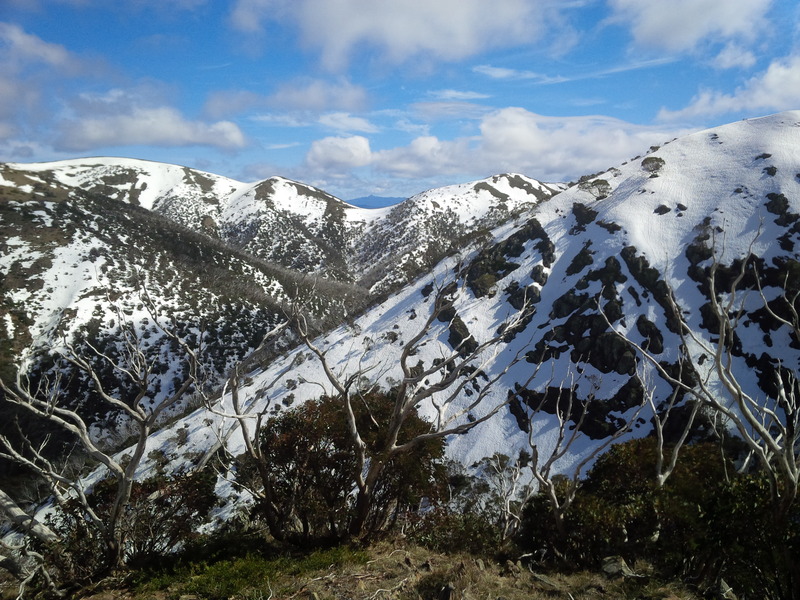 The Falls to Hotham Alpine Crossing Master Plan will be lead by Parks Victoria in partnership with Tourism North East, Tourism Victoria and Regional Development Victoria. 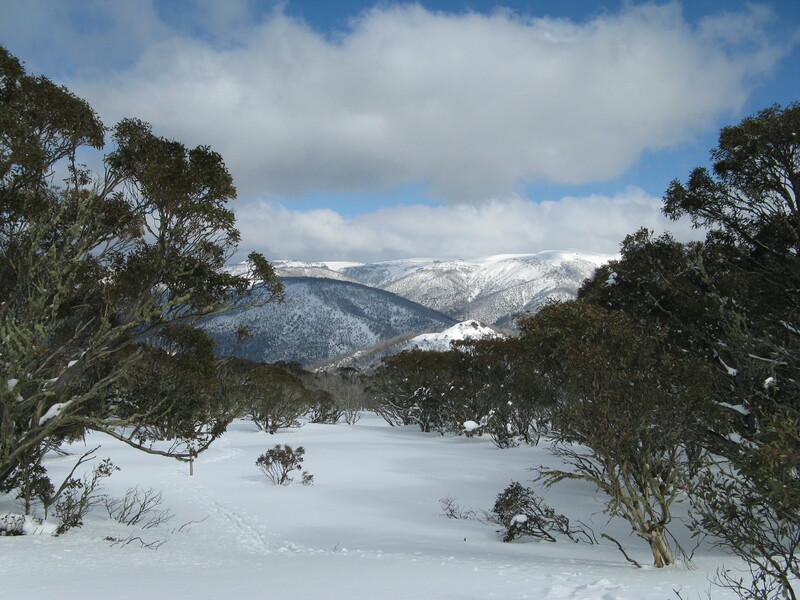 The preferred route goes from Falls Creek, around Rocky Valley dam to Wallaces hut, then across the High Plains, descending to Dibbins hut, then downstream along the Kiewa to Diamantina spur, up to Feathertop, and out to Hotham along the razorback. The main driver for this project is the need for a resolved, design-led, strategic master plan and implementation strategy (the master plan) for the FHAC which considers regional tourism and commercial opportunities in the context of recent changes to public land policy, particularly tourism investment in national parks. That is, the Coalition governments intention to encourage private development within national parks. They use the ‘precedent image’ of private huts along the Overland Track, Tasmania. A final decision is expected by 2015. It is great that the government is providing resources to further develop walking tracks to get more people out into parks. 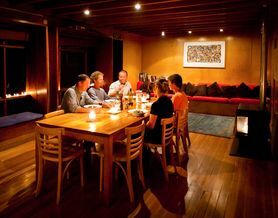 It is orientated towards a market that is happy to pay to have ‘luxeries’ while in the bush, like high quality acommodation, so potentially brings a new group of people into the mountains, who would currently tend to stay in the neighbouring resorts. However, it could be the thin end of the wedge in terms of developments within parks. It will probably bring new walking track infrastructure to what is at present a relatively remote area with only a rough trail (the Diamantina spur). 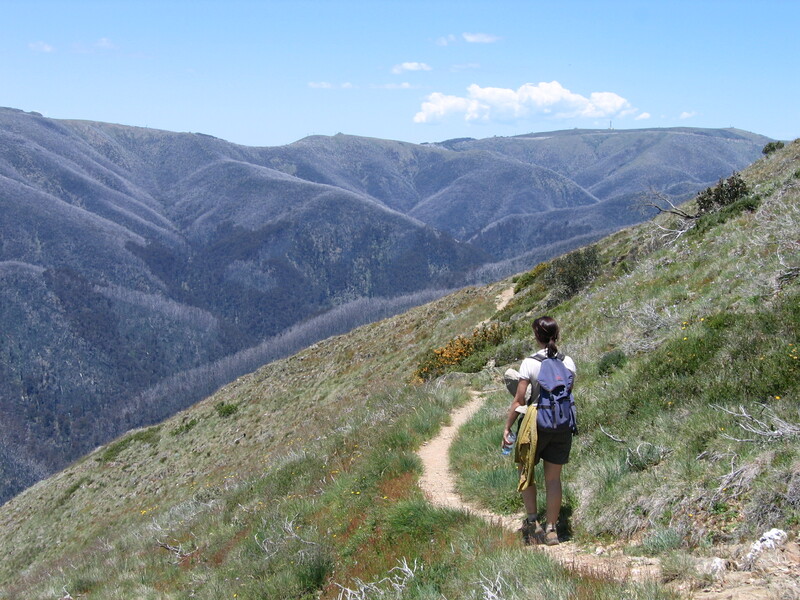 Hotham to Falls walk upgraded, more developments to come? The much touted ‘Falls to Hotham Alpine Crossing’ has received a substantial injection of funds in order to increase visitation. An $800,000 upgrade to the 37-kilometre trek has been completed and Benalla MP Bill Sykes launched it as one of Victoria’s iconic walks at the weekend. The upgrade includes camping platforms at Cope and Dibbins Hut, signage and track development. “The camping platforms maintain the vegetation in the area because they are elevated so people can pitch their tents without degradation,” he said. Dr Sykes also announced $50,000 of funding from the Victorian Regional Growth Fund to create a master plan for the next stage of the upgrade. He said it could include looking at accommodation options along the track. “There are people like me who are very happy to put in the kilometres during the day but would like a comfy bed at night,” he said. “Some are happy to rough it with a stretcher and a sleeping bag but then there are others who are happy to be out in the elements but have the comforts of home. The master plan will also include route extensions and Dr Sykes said he wanted to encourage people with beginner and advanced routes. He said the track upgrades were a priority because there was a growing band of people who enjoyed walking and the companionship gained from doing it in groups. Dr Sykes said the upgrade and master plan will lead to economic benefits. “It will be measured in millions and millions of dollars no question about that,” he said. Guided walking tours is another initiative Dr Sykes believes will boost tourism. It’s great to encourage people to get out and walking in national parks. But with the pro-development in parks agenda of the current government, we should always be a bit cautious about their motivations. For instance, what does ‘accommodation options along the track’ mean? Private huts along the route, as is the case in Tasmania? In March 2013, the Minister for Environment and Climate Change released the Tourism Investment Opportunities of Significance in National Parks Guidelines, an information pack to guide potential investors through the process of gaining approvals and ‘taking their plans to fruition’. The government has also announced that it intends to introduce fees for overnight hiking in national parks. It would appear that doing the ‘Falls to Hotham Alpine Crossing’ will attract a fee of $30, plus a $10 admin fee for the booking. Victoria’s 7 peaks Alpine Ascent Challenge is an at-your-own pace cycling challenge which takes in all of Victoria’s Alpine Resorts. The ‘riding season’ is now open. 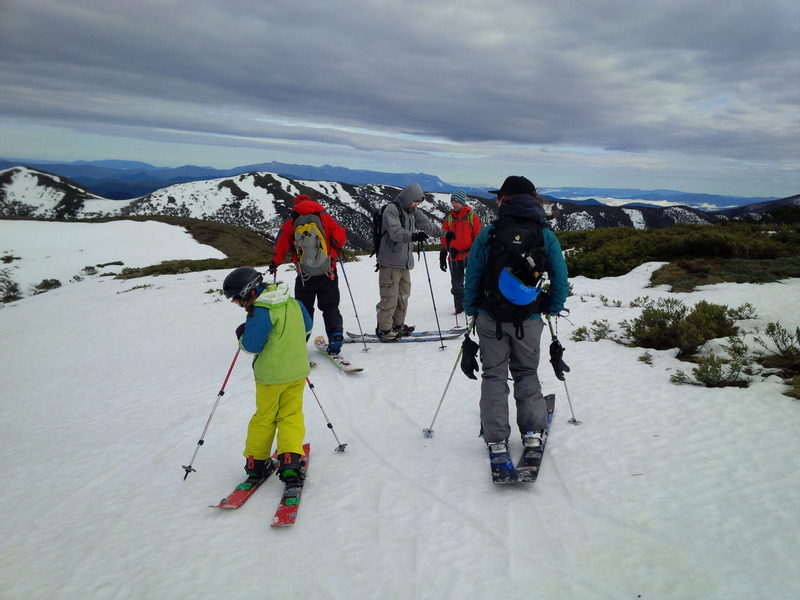 You can tackle the 7 Peaks (Mt Baw Baw, Mt Buffalo, Mt Buller, Dinner Plain, Falls Creek, Hotham, Lake Mountain) anytime from October 18 2013 to March 31 2014. 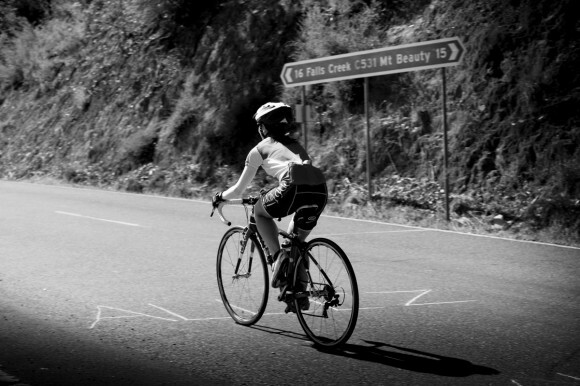 The challenge is for people – over the next five months – to ride each mountain at a time that suits them. ‘The 7 Peaks passport will be the proof of your cycling toughness, stamping it along the way for every summit you successfully ride. Once you have completed your peaks and submitted your stamped passport, you will go into the draw to win some amazing prizes. Ride four peaks or more and you get the chance to win this year’s major prize. There’s also 7 amazing alpine winter experiences to be won’. First Light Boards brought the splitboard festival to Victoria for the first time, with an event at Mt Hotham last weekend. Things kicked off with a showing of the Backcountry film festival at The General on friday night. On saturday morning a small but enthusiastic group meet at Mt Loch carpark before heading out to do some runs at Eagle Ridge, then had a long walk out to Mt Loch and Machinery Spur to check the runs. To go on the mailing list for next year’s festivities, please check here. The back country film festival has another showing, planned as part of the 2nd Splitboard festival. 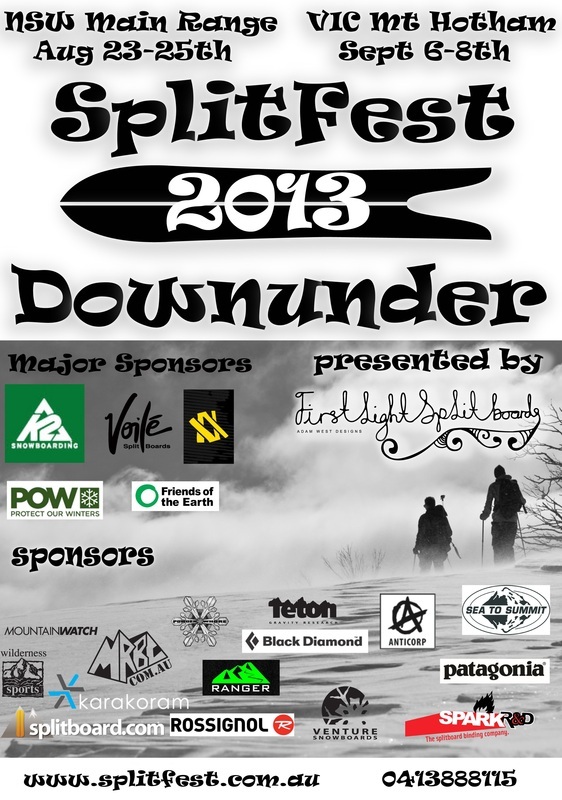 After hosting the inaugural event in the Snowy Mountains in 2012, FirstLight Snowboards are bringing the splitboard festival to Victoria over the weekend of September 6 til 8. Over the weekend there will be demo boards and rental gear available to those who need it. Jump on board and meet some new touring partners, the more the merrier! FirstLight ask that people register for the festival. Details here. In addition to the on-snow activity, the film festival will be showing on friday September 6. At The General Hotel, Mt Hotham, starting at 6. This night will have raffles and give aways, an intro to what is happening with the split board festival, and lots of fun.